This is a rehash of an old post on here titled Vertical and Horizontal Fist, which referred to Pat's Hook Punch, Vertical or Horizontal, that featured a video from Nat. I remember once in a martial arts forum, one of the older and fairly respected members inadvertently started a flame war because he began a post saying the basic punch starts like so on the ribs, gets rotated and hits when it's horizontal. That's not my aim, instead of a flame war, let's look at the horizontal fist and vertical fist from my perspective as an instructor. In the video, Nat talked about using a vertical hook punch because of power, and varying it to a horizontal fist to gain reach in striking a taller opponent. In my original post, I talk about the 'lifecycle' of the punch where - at the halfway mark, you see the first rotating into the vertical fist, and then at full extension it corkscrews into the horizontal fist. In our style, the staple punch impacts as a Karate punch does. At full extension we strike with the front face of the first two knuckles. We make impact using this weapon, because that's what we do - we train for it. 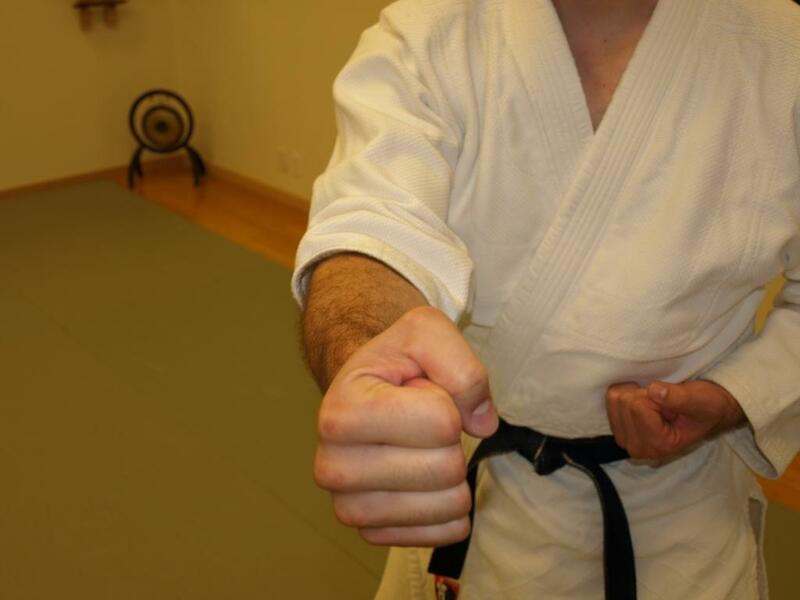 So it is a preference, and it starts making sense trying to hit people with this part of the fist first. Generally, this contact area is used at full extension or when we're putting a lot of force behind the strike. However, this is not the only punch we use. As I discussed, the 'lifecycle' of the punch means that we can make contact at any point before full extension, and that will be considered a 'punch' as good as anything else we got. Yes, that's another image I ripped off the net showing a vertical fist. This is what we use typically when we make contact before the punch is fully extended. 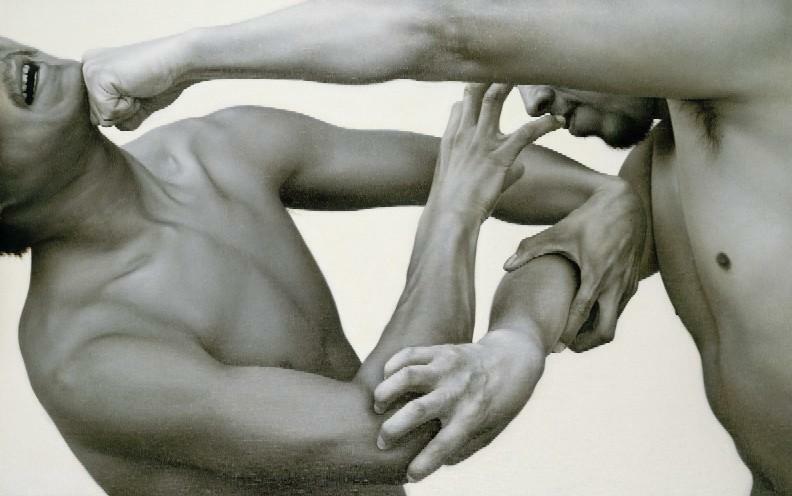 If you think of wing chun's straight blast, or any upset punch, hook punch, and uppercut - that sums it up. The contact point is no longer the front face of the first two knuckles but the lower three knuckles. Mostly the difference between the horizontal or vertical fist is in the rotation of the arm and the closeness of the elbow to vertical axis. Meaning if I were to corkscrew and hit with a roundhouse punch/horizontal fist, this punch would be driven by shoulder rotation, my elbow is pointing out, and I would be striking with rotational momentum driven by arm and shoulder muscles. 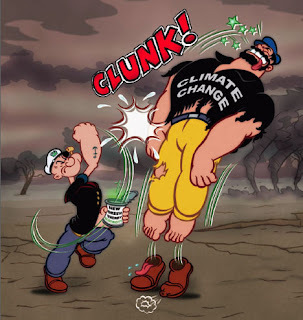 If I were to hit with a 'wing chun' type vertical fist, the elbow is dropped to six o'clock and I am hoping to lock the punch and deliver body mass through the legs at maximum impact. There are variations of course. I don't have to do a shoulder rotation roundhouse. I can power an 'oi zuke' lunge punch with a fist held more or less horizontal, with elbow rotated downwards to maybe 8 o'clock or 4 o'clock which allows me to use linear acceleration into my opponent. That's a great long distance tactic that few Taekwondo practitioners do nowadays. Loads of people talk about striking power of the strike in comparison to other strikes. For instance, many would say the boxer's punch is the most powerful strike. It's the most powerful strike because that's what they train in day-in-day-out, for sure. Aren't we all trying to make each strike as powerful as we can? I think more importantly, it is important to communicate that different strikes and angles of entry help us achieve tactical advantage. 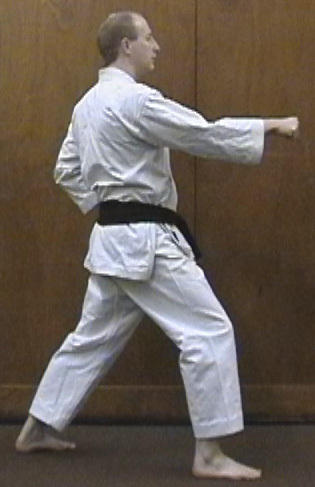 o Roundhouse punches for instance, allow me to crest the lead arm or shoulder and strike to the head. o Lunge punches allow me to reach an opponent and strike through raised arms. o Vertical punches allow me to flow between blocking and trapping, striking and locking very quickly. o Short range reverse punches allow me to generate a lot of power in the short range while not looking like I'm doing so. The most common mistake I see nowadays occurs because many beginners train with bag and gloves outside class. Many practitioners who use a bag tend to prefer lifting the elbow for a roundhouse punch, and to impact with the bottom three knuckles. That is a fine punch for when you're using a bag and gloves. However if you use those mechanics for all your strikes, it starts to reduce the versatility of punching angles and may in fact result in injuries if you impact really hard areas of the head with the smaller bones in your hand. To gain the tactical advantages mentioned above, beginners should be allowed to make impact with targets at various ranges. Specifically using a dropped elbow and vertical fist in the short range, a horizontal fist with dropped elbow at full extension, and a relaxed shoulder rotated horizontal fist at medium range. Of key importance is to develop the front face of the knuckles as a viable striking tool first - given that the bottom three knuckles are used intuitively by most untrained students. We also make it very apparent when beginners start, the difference between a lunge type strike and one that is driven by shoulder rotation. This distinction (fingers crossed) helps the beginner understand different punches generate power differently. Of course you can move from one method of generating power to another, stepping and rotate at the same time. But if you've just got the stand-there-hit-the-bag mindset, that fluidity may not be as intuitive as you think.